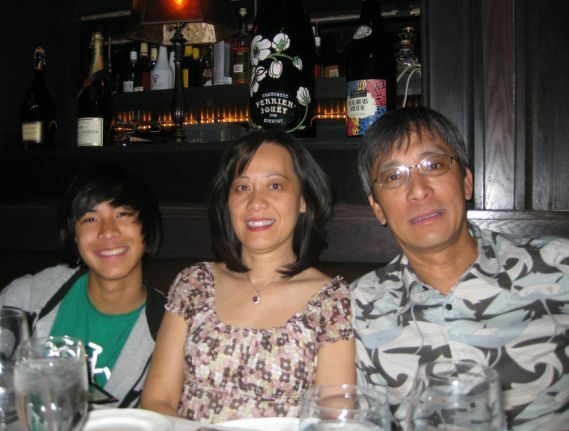 After visiting UCLA we spent the night in L.A. with my cousins and then we drove to Las Vegas the next day. 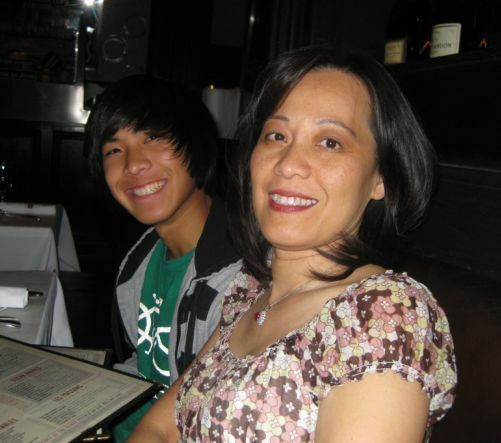 Our goal is to get to Vegas by 6:00Pm so we can have dinner at Mon Ami Gabi with Phuc, Huyen, and Spencer who flew from San Jose to spend a few days with us. 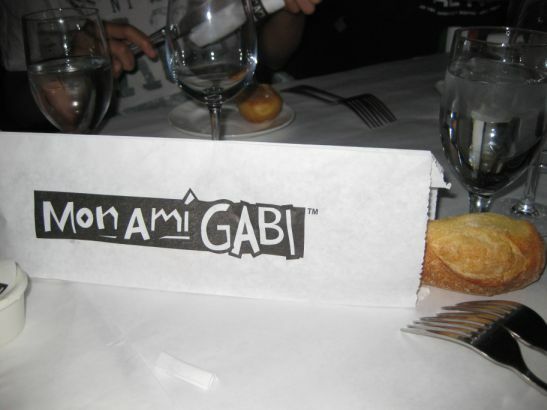 Mon Ami Gabi is a pretty big restaurant! The interior of the restaurant has many rooms and they also have a patio that can be seen from the strip so this is really easy to find. 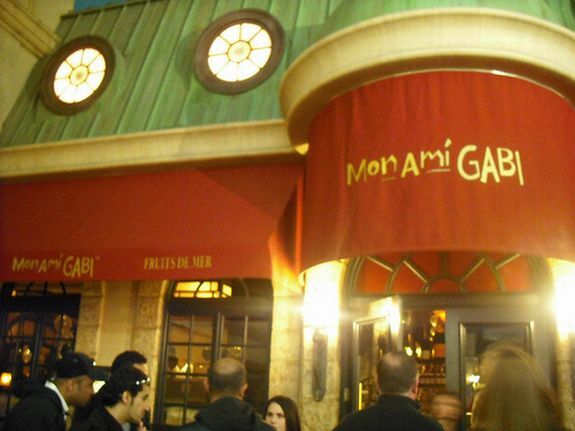 Mon Ami Gabi is a classic French Bistro specializing in Classic Bistro Fare including crepes and quiches, which we have yet to try. 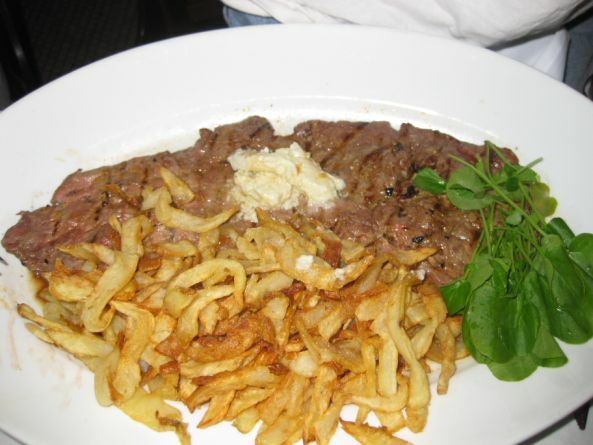 We usually go there for their signature dish Steak frites! They are famous for their onion soup, but the last we tried it is was not very good. The patio area is located on the strip. 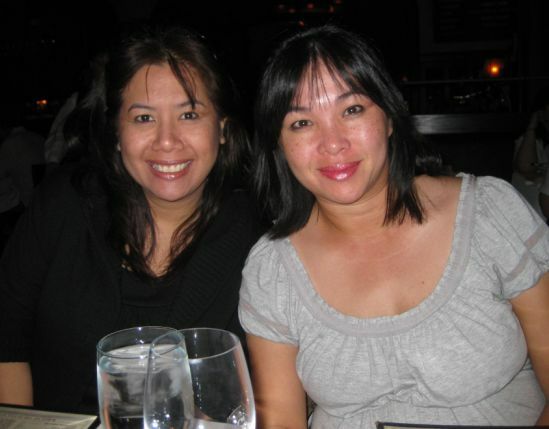 The background is Paris Casino. This is the entrance of the Restaurant inside Paris Casino. 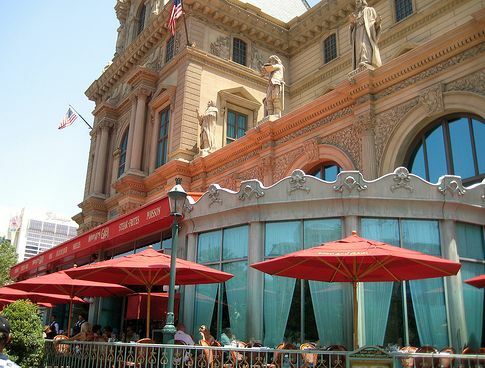 You can not get in the restaurant from the street, you have to go in the Casino. 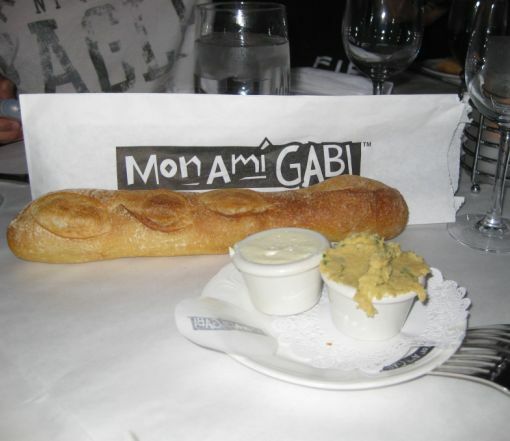 Each time we dine at Mon Ami Gabi we have to control ourselves not to eat too much bread! The bread here comes out fresh from the oven and it is so good! They used to give us a carrot salad (carotte rapée), which is a very common dish served in French bistro, but I now they just served plain butter and a little pot of Hummus served with bread. 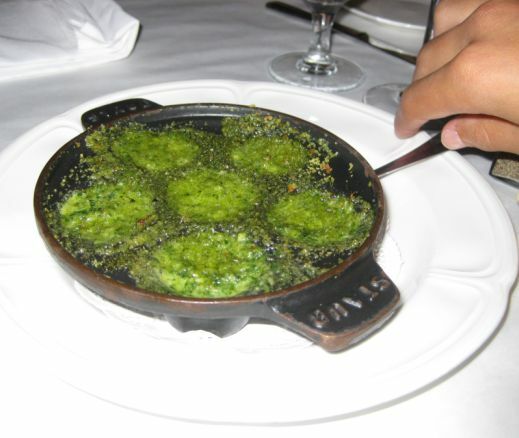 For appetizers we ordered 2 plates of Escargot de Bourgogne. One plate came out super salty and the other pretty plain. My guess is they double salted one plate and that's why the second plate needed some salt. 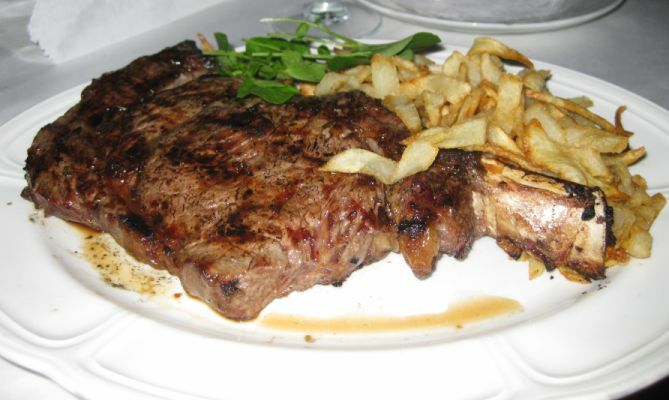 Kevin and I we shared a 22 oz (623 grams) Ribeye (Entrecôte) with a sauce au poivre served with crunchy French Fries. 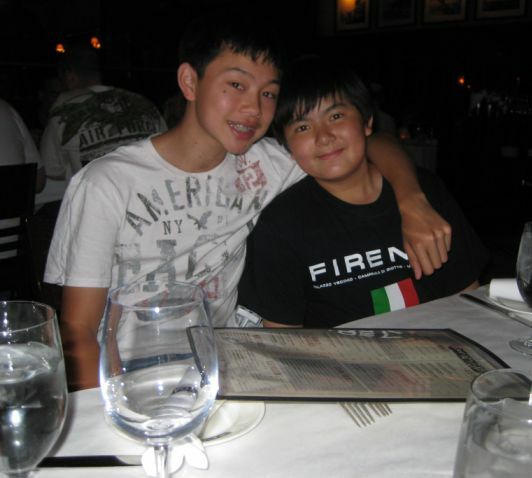 Kevin and I we love Ribeye because there is a layer of fat around the meat. The fat is so tasty! 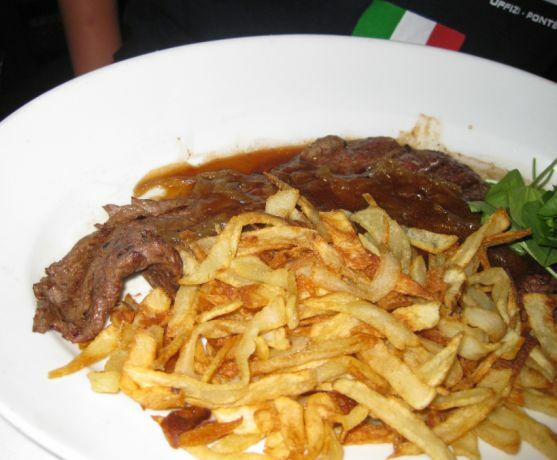 Spencer ordered a steak Bordelaise with caramelized onion and wine sauce. 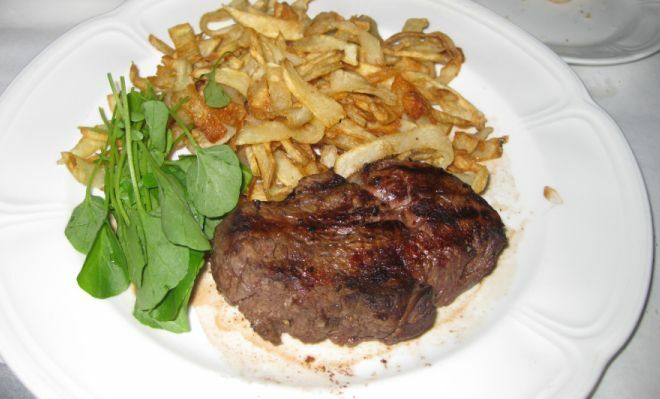 Maily and Nick shared a steak au Roquefort. 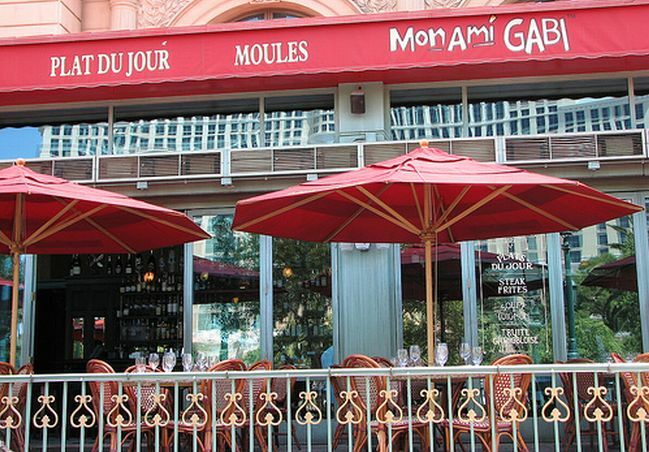 When we are in Vegas we always eat at Mon Ami Gabi! The problem with them is they are not consistent. 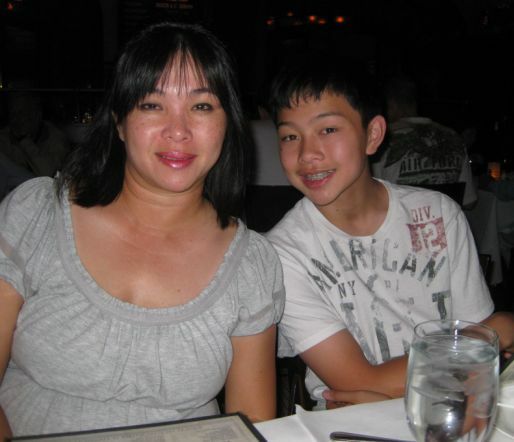 Sometimes you get a great meal and sometimes it is just okay so it just depend on the day. However we like to go there in the hope that we catch them on a good day. The bread is always very good and their steaks are decent.